A bipartisan group of senators asked the CMS to expand the Medicare Advantage value-based insurance design model to include substance abuse disorder patients, saying it could help combat the opioid epidemic. Starting in 2020, the CMS should add substance use disorders to the specified clinical conditions identified in the current demonstration, Sens. Bob Casey (D-Pa.), John Thune (R-S.D.) and Chuck Grassley, (R-Iowa) wrote in a letter to CMS Administrator Seema Verma on Wednesday. The CMS launched the model last year to improve access to healthcare services and prescription drugs among Medicare Advantage enrollees living with chronic conditions. The value-based insurance design model allows health plans an opportunity to design plans that vary benefits, cost-sharing, and offer supplemental benefits to positively impact enrollee health. 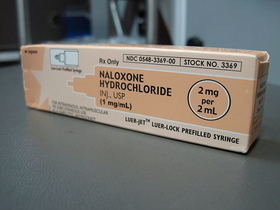 The lawmakers also called on the CMS to encourage participating health plans and new applicants to use the model to expand access to evidence-based opioid treatments, including naloxone and medication-assisted treatment. "Given the ongoing opioid epidemic, adding substance use disorders to the list of specified clinical conditions identified for the MA VBID model is not on" the letter said. "We urge you to draw on value-based insurance design concepts that promote access to high-value, evidence-based healthcare." The request comes as providers are taking the initiative to launch their own efforts to battle substance abuse. Earlier this month, Intermountain Healthcare, Anthem and other healthcare leaders launched a new alternative payment model concept that could be the first patient-centered medical home model designed specifically to address addiction recovery. The Addiction Recovery Medical Home model developed by healthcare data intelligence firm Leavitt Partners in conjunction with insurance giant Anthem and Utah-based Intermountain Healthcare is meant to provide patients with an integrated substance use disorder treatment option.